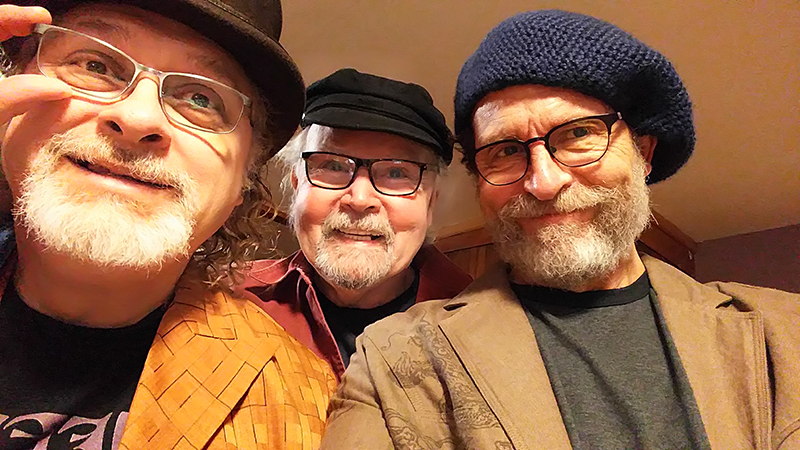 In 2017 Grammy Lifetime Achievement Award winner and folk icon Tom Paxton, longtime Eighth Step performer, appeared onstage with Grammy winning singer/songwriter duo The Don Juans. Now the illustrious ensemble returns! Within days of writing and playing together, they knew they were onto something. To our delight they took it on the road: a writing and performing experience calculated to keep this irreverent and massively talented ensemble too busy to get into trouble. Consider that, collectively, their songs have been covered by: Harry Belafonte, John Mellencamp, Miranda Lambert, Neil Diamond, Ray Charles, Nancy Griffith, Judy Collins, Pete Seeger, Janis Ian, Kathy Mattea, John Denver, Faith Hill, Bob Dylan - to name a few. Paxton’s shows with The Don Juans have him on his toes, and even his most familiar songs amplified meaning, exquisite musicianship and astonishing songwriting. And that doesn’t even touch what Don Henry and Jon Vezner bring onstage. Says Paxton, "These guys are long-ball hitters and if I don't want to get smoked I'd better do a little rehearsing. I probably need to do that anyway," he says, laughing. "It certainly couldn't hurt." This from an indefatigable performer whose outsized influence has taken him on over 50 concert tours of England, Wales, Scotland and Ireland, and who has released over 50 albums of his own songs. He is his own movement. P.S. We’re eagerly awaiting Tom’s latest crop of “short shelf-life songs,” i.e., brief, satirical ditties based on current news that fade with the latest headlines. Such material coming out of Washington - wickedly tasty!